Nike Canada wanted to give some Toronto-area hockey players the shirt off its rack, but they had to earn it. To build buzz around the 100th anniversary Team Canada jersey created for the IIHL World Junior Championship, Nike and agency partners Rethink, TrojanOne, Jungle Media and Ambit created a one-of-a-kind hockey tournament for young players on Jan. 3. It took place at a custom rink on the ground floor of an abandoned building in Toronto’s west end. The building had no power, the “glass” was chain-link fence, and the surrounding walls were covered with (actual) graffiti, but the rink – dubbed the Nike Speedhouse – was custom-built to maximize speed and performance. Nike and the agency partners worked with coaches from the Greater Toronto Hockey League (GTHL) – the world’s largest amateur hockey league, with more than 40,000 registered players each year – to enlist 24 ‘AA’ level players 14-16 to participate in the one-day tournament. Nike also enlisted celebrities, including former NHLers Gary Roberts and Chris Pronger and TSN personalities “Cabbie” and Darren Dutchyshen, to evaluate players during the tournament. The winning team, as well as select players who demonstrated a strong work ethic and commitment to team play, were awarded the 100th anniversary Team Canada jersey and tickets to the gold medal game between Canada and Russia. “We wanted to incorporate that notion of speed and quickness and create something that brought it to life,” said Holtby of the initiative. Athletes in the specified age range were chosen because of their social media acumen, he said. 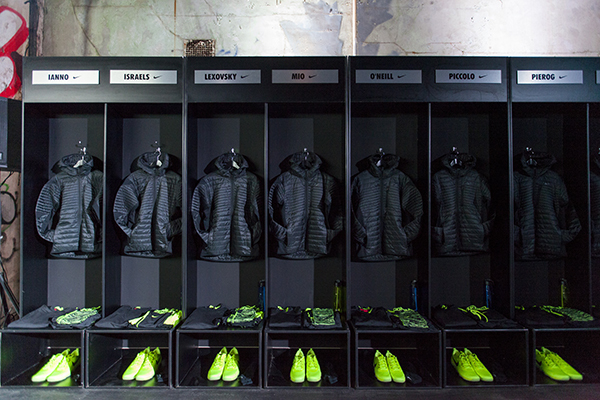 Participants were encouraged to share their experience via social media using the hashtag #NikeSpeedHouse. “These kids are all well-connected on social, so they were encouraged to go and tell their story,” said Holtby. Nike also promoted the event through its own social media assets and a partnership with TSN digital property BarDown. 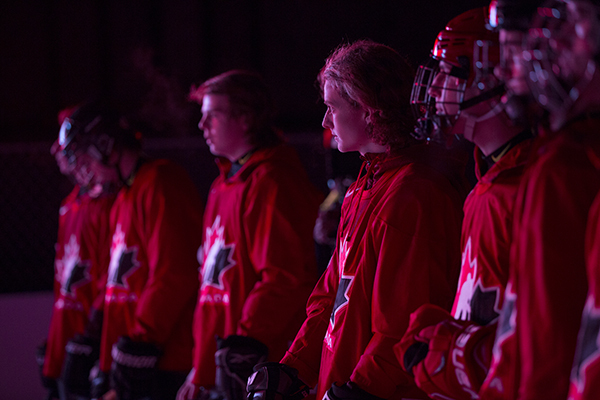 This story can be found at: http://marketingmag.ca/brands/nike-gets-up-to-speed-with-world-juniors-134418.